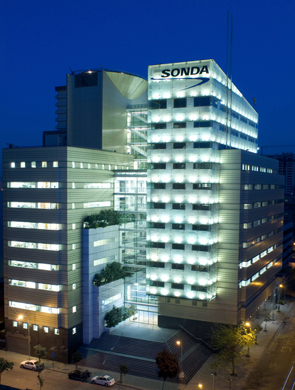 SONDA has as a fundamental principle to maintain and protect the company's ethical standards in accordance with its current values and regulations, which allows building honest, solid and reliable relationships among its employees, as well as with all those related to the company. Therefore, SONDA offers its collaborators, directors, executives, shareholders, customers, suppliers, contractors, consultants and third parties related to this simple and secure reporting channel, which guarantees the anonymity of the complainant and the confidentiality of the information received. In this way, our commitment is that all complaints received through this channel are treated and investigated in accordance with current legislation. The whistleblower channel is technically managed by ALTO Trust (Grupo ALTO), which, as a specialist in the field, guarantees the most complete confidentiality and security for the whistleblower. We inform you that you are in a secure ALTO Trust page http://www.grupoalto.cl, do not use this service to make emergency complaints and/or a threat to the integrity of people, for this go to the corresponding local authority. ALTO Trust protects the privacy of information by visitors to the web complaint channel platform, through the use of security measures accepted by the industry to protect against the loss, misuse and alteration of the data contained in this. No information entered into the complaint channel, will be sold, leased or exchanged. ALTO Trust, is not responsible for the content text, images, or multimedia entered by users to the Whistleblower Channel. ALTO Trust, in order to protect the privacy of the information adopts the security measures considered reasonable in the industry and avoid, with this, the misuse and unauthorized access that may cause any alteration, loss and / or destruction of this. Without prejudice, because it is a communication via the Internet, it is not completely secure, so we can not guarantee it in its entirety. ALTO Trust, reserves the right to modify the privacy conditions without prior notice, so we invite you to review them continuously.